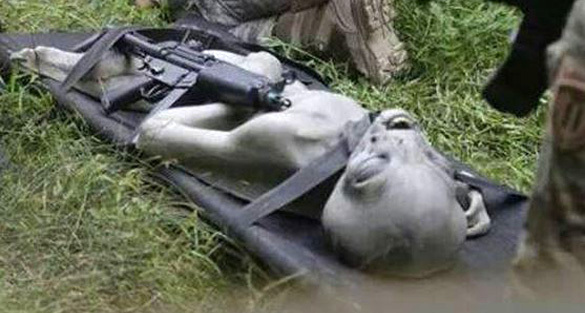 A video posted a few weeks ago of what appears to be an alien being recovered by the military has gone viral. It has racked up nearly one million hits since the writing of this story. 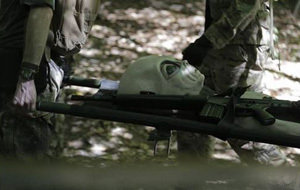 However, a UFO researcher did some digging and found out it was actually part of a mock military battle in which teams try to recover a fake alien from a crashed spacecraft. The video in question (the picture used in the video can be seen above) was posted by YouTuber UFOvni2012. OVNI is a term for UFO used by Latin countries. In Spanish it stands for “objeto volador no identificado.” The phrase is also used in Italian and French. Another commenter posted a link to the alien dummy on Amazon. He says the picture used by UFOvni2012 was taken at one of their events. 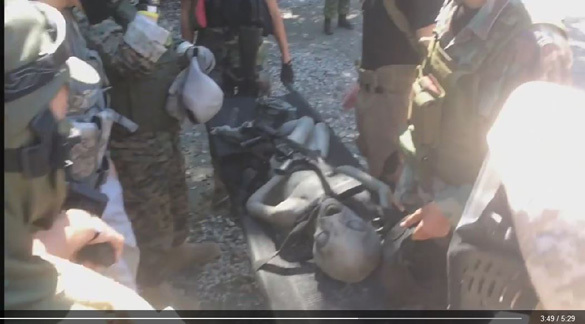 Ballahack Airsoft has staged several alien recovery events using dummies and people wearing alien masks. They have posted a video of the first part of one of the events, and will be posting another with the second half. The video shows a lot of guys simulating modern warfare, running around a huge lot. There is also an apparent staged UFO crash site. 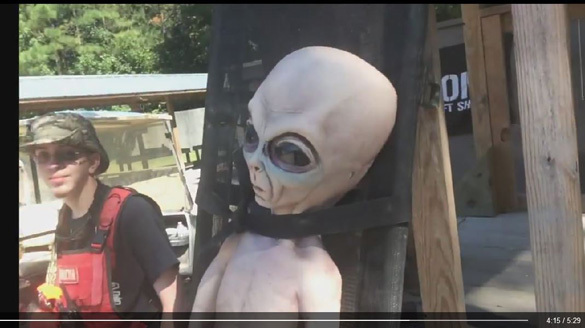 Although the first video does not show the aliens, Rose sent Koi some images from the event with the alien dummies, and some stills of the yet to be released second video. The alien body can clearly be seen. Apparently, part of the game was to smuggle the alien bodies out of the crash site. The Ballahack video is really cool. Airsoft looks really fun, and their grounds are amazing. However, it is kind of sad their Airsoft video only has about 1,000 hits, while the fake alien video has nearly 1 million. It is also sad that UFOvni2012 must have known he was putting together a hoaxed video. UFOvni2012’s videos have gone viral before. Hoaxed videos of mermaids, angels, UFOs, and even a bone on Mars, have garnered him millions of hits, and probably a good amount of cash in ad sharing revenue. 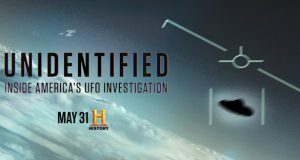 It goes to show you, hoaxing can be lucrative, and this is why UFO enthusiasts must be extra careful when evaluating too good to be true UFO videos. 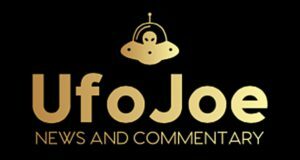 The alien video has been taken down by UFOvni2012. However, others have noticed their success and created their own. Here is another video that is similar to the original with the same picture. many liars StephenHannardADGUK, secureteam10, ……..
You can clearly see the one on the stretcher is fake. It’s a foam pour, can’t you tell by the underside of the thing, they even forgot to “trim” the pour latex off. How stupid this is. Kind of Odd that this guy who claims the photo and its origins CANT EVEN POST A PICTURE OF THE SPECIFIC ALIEN FIGURE IN QUESTION, He has given multiple other photos that do show “Alien”s on stretchers with people in military uniforms, HOWEVER what they DO NOT show is this specific Figure that seems to have great detail to it, With the Eyelids being closed and its head tilted back with its mouth wide open, & Lastly Look at how legitimate the anatomy is with the muscles but Specifically Its Hand/Fingers look to be actually even more authentication because it is known that the So called “Greys” have only 4 Digits in their finger segments. LASTLY, If its from an Airsoft game then why is there a man wearing a High grade RESPIRATOR for filtering your breathing intake NOT for facial protection….. Just my 2 cents from someone who’s not as Ignorant as the masses. Until Christopher Wratten shows pictures of this specific Alien figure Im thinkin its actually very REAL! Just look at the green tape on the guns in the picture. It stands for the fps of your gun. It’s not real.